Total agricultural land of the globe becomes insufficient due to the progressive nature of primary and secondary salinity. High salt content in the irrigation water or soil is a serious restriction factor to the cultivation of many crops. Salinity has significant influence in maintaining the balance nature of osmosis, the availability of water and nutrients, and the formation of free radicals in plant. The consequence of these factors causes undesirable effect on photosynthesis, growth, and development of numerous economically important plants. 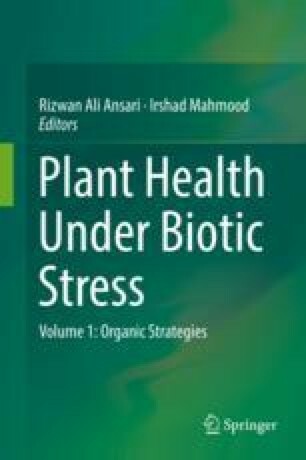 This review evaluates the management practices or strategies based on the combination of approaches through management of soil-borne pathogens, root-zone salinity management, quality irrigation, and cultural practices to accelerate the removal of salts and cultivation of salt-tolerant plants. Root-zone salinity is mainly controlled by different irrigation systems and leaching and by the use of appropriate plants to maintain the water table. There is a diverse strategy that can be applied through quality irrigation and cultural practices. Different modes of irrigation, tillage, and bio-drainage, addition of organic matters and gypsum, and application of sulfur are some of them. However, growing salt-tolerant plants along with the traditional methods of managing the saline environment take a momentum to reduce the effect of high salinity. Genetic engineering approach through the deep understanding of physiological response of plants to salinity would augment the identification of potential gens for developing transgenic plants. Application of microbes, organic matters, and green remediation also has proved the improvement of plant health and productivity under salinity and biotic stress. These management strategies provide an insight to the effective crop production under saline environment.